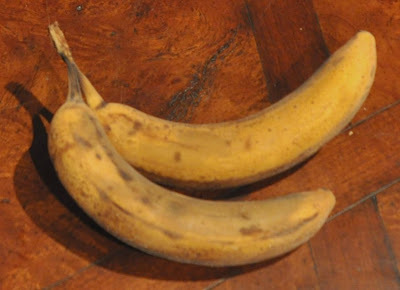 Don't you hate it when your bananas go brown? I never know what to do with them other than the typical answer...banana bread. I finally found a great alternative. First off, you don't need an ice cream maker. 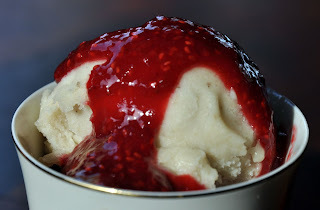 This isn't really sorbet or ice cream...it's even better; simply frozen bananas that are pureed into a creamy texture identical to sorbet/ice cream. The texture is spot on, the taste is obviously 100% pure banana (no added sugar, cream, fat). I, of course, needed a little something to go with it...Raspberry Chambord Sauce sounded like a good choice. Note: the sauce is also tasty on warm gingerbread, regular icecream, cake, about anything you can imagine! 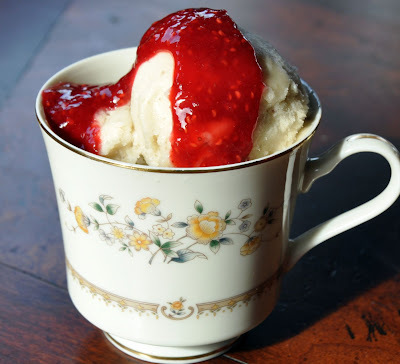 The banana "sorbet / icecream" is perfect for the whole family! My daughter loved it, thought she was really getting ice cream and my baby was so cute with his first bite; very quick to do his sign language for "more". In a pan, bring the raspberries, strawberries, sugar and lemon juice to a boil and reduce to a simmer, stirring continuously for about 10 minutes or until thick enough to coat the back of a spoon. Take off heat and cool for 5 minutes. Add the Chambord and cool to room temperature. Store in fridge. 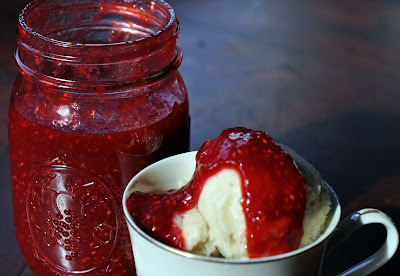 Makes about 2 cups of sauce (more than enough for your banana "ice cream" and any other desserts (brownies, cake, ice cream, etc.). Keep refrigerated or freeze for later use. Tastes best when cold. Take the frozen bananas out of the freezer. If they still have the peel on use a vegetable peeler to peel off, making sure you peel all the fibers off the banana. Work quickly so the bananas dont melt. 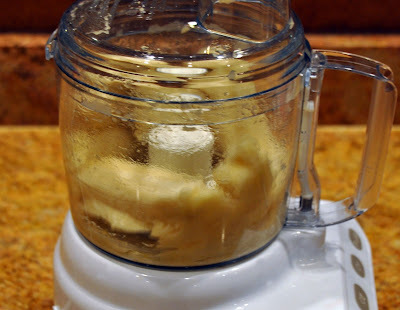 If they were frozen without the peel you can proceed and put the bananas in a food processor and puree. 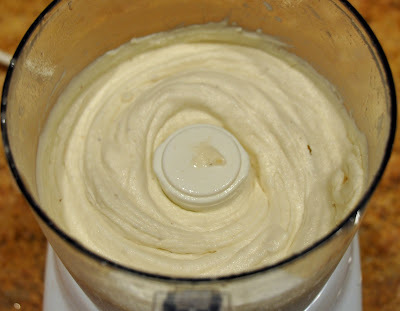 I usually puree for about 5 minutes, stopping often to move larger pieces to the bottom of the food processor. Once the texture is smooth you can serve or put in a Tupperware container and back into the freezer so it hardens and serve when ready. Makes about 1 1/2 - 2 cups. I think may be drooling. hee hee...good! That's the highest compliment you can give me! Wow, that's a great natural treat.